Nina Maya Interiors specializes in beautiful bespoke residential and commercial interiors. 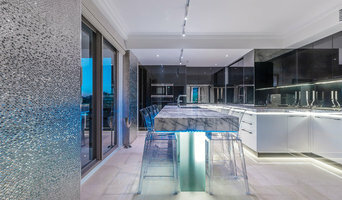 .."Purity of materials, unexpected elements, and custom designed details are the hallmarks of our style..." Known for its tailored, polished spaces and precise, considered approach, Nina Maya Interiors has built a reputation for its unique customization of interiors to suit each individual project and client. The studio based practice employs a dedicated team working collaboratively with architects and artisans to provide an unparalleled level of services to their clients locally & Internationally. Nina’s passion for interior design and for creating meticulously curated, layered spaces is at the core of her practice and she leads her team with extensive design expertise, a career spanning a decade and a portfolio of highly refined projects. Noble Spaces is an energetic and artistic Spatial Design studio that specialises in custom builds, bespoke interiors, business brands, and public environments. The heart of this studio embraces a holistic approach to design with a spirit for creativity, collaboration and artistic exploration. Spatial design combines interior design, architecture, urban design, art, and visual technologies to inform innovative, unique and meaningful design solutions. Working collaboratively with clients throughout the creative process encourages custom concepts, intelligently conceived and well-executed projects, to create truly memorable experiences. 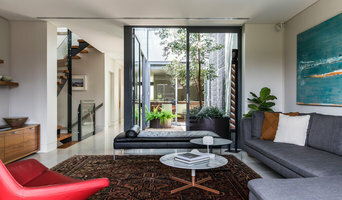 McRae + Lynch are an interior design agency who have been operating for over 15 years and are based in Sydney, Australia. We are a dynamic team of interior designers that work with the latest materials and technologies. We design and architectural draft interiors whilst fusing together a myriad of styles, exquisite taste and high functioning design that will transform any interior. McRae & Lynch Interior design have worked on a broad range of projects and in doing so have a wealth of knowledge and experience. Projects include complete home renovations, new residential builds, multi-million dollar interior overhauls on P & O Cruise liners, commercial office fit outs, restaurants & retail fit outs. I began with a flair for food & spent my early years as a Chef & restaurant owner. The joy was transforming raw ingredients into dishes that customers loved & kept returning for. Many years later, having started a family, I moved to a career in Real Estate. During this time I honed my capacity to listen, understand, conceptualise & deliver my clients needs & built a strong reputation for supporting my client base to find & develop their perfect abode. With a true understanding of what people aspire to achieve from their homes I eventually turned my attention to what I love most – transforming spaces into practical yet beautiful realities. I started with my own properties – converting a range of neglected properties into desirable spaces for sale. Here I got to experiment with styles & materials. From there I bought a rundown Californian bungalow & transformed it into an industrial/ beach-inspired house. People loved what they saw & asked for my advice & help. As the workload grew… Home & General was born. I love what I do. I take enormous pride in creating loved livable spaces. The part that motivates me the most is my ability to make homeowners’ dreams come true. I thrive on the challenge of ensuring the results are both aesthetic & practical. Each & every client is treated as an individual & my passion lies in seeking tailored solutions for each of them. Sometimes the answer is simple & off-the-shelf & sometimes more is needed – a twist or a bespoke approach. Gregory Croxford Living is the exclusive distributor for Armac Martin and Frank Allart in Australiasia. High quality, boutique architectural hardware. 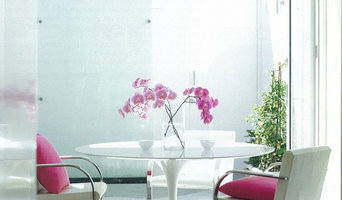 80 Spaces is an industry leading luxury interior design firm located in Sydney, Australia. My mission is to always deliver a flawless product that is a true reflection of the client’s vision. The business was established with the vision of creating memories by evoking a sense of place on a journey through surprise, discovery and desire. Each one of my projects is defined by its unique identity and transforming everyday living spaces into one-of-a-kind indulgences, with a unique fusion of minimalism and lavishness. I continually deliver beautiful and functional spaces that go beyond my client’s needs and expectations. We have built collaborative relationships with clients and fellow consultants that are vital to the success of my projects. We work together to establish project goals, needs, and potential obstacles, resulting in cost-effective solutions that meet the client’s current needs, as well as future changes. ‘Lifting the Spirit and Enriching Life’ is weaved into the very DNA of I for Style. It’s the ‘why’ behind everything we do. Lurleen Kirkwood, I for Style’s principal designer, is truly passionate about creating beautiful interior spaces that are unique to each one of her clients. And her greatest reward is to see the change a beautiful home can make to their quality of life! Lurleen has built a reputation based on down-to- earth, honest, reliable service that delivers top-quality results. She firmly believes that the most important people in the design process are her clients and that the design process should be a fun experience for them. Starting with an initial consultation, Lurleen will work with you, listening carefully to what you have to say and any ideas you may have. Services include one-off interior consultations, colour consultations, new builds, small and large refrubishments and renovations. Lurleen will work within your budget and any practical requirements you may have. If you're not sure on what look you're after, Lurleen can help you define your style and create a home that you love that's unique to you! For larger projects Lurleen can even help you define your scope of works. Once this is set she will put together a fixed quote price so you know exactly what your getting. Another service Lurleen offers is Client Representation. This simply means that the client’s best interests are at the forefront of every decision made and they are treated with the respect and consideration they deserve. This service is great for larger projects such as new builds or renovations, giving the client peace of mind that they will be listened too and any questions they may have receive due consideration. Benefit from Palomar Designs' full range of interior services, including: renovation advice, kitchen & bathroom design, furniture selection, curtains, blinds, lighting, painting and art selection. We have 15 years experience designing and decorating houses, offices and sets for film and TV which enables us to create whatever style you love. Benefit from our experience today and let us create a beautiful environment that you will enjoy for many years to come. We promise to make the entire process of decorating your home easy and cost effective. Seeger By Design is a creative interiors consultancy. I believe in creating beautiful, comfortable and functional spaces that enhance the lifestyle and well-being of the people living or working there.